Hawaii. Shouldn’t someone be warning the public of dangerous bacteria levels lurking at the beach? In recent months, we’ve seen the absolute failure of government at all levels to protect the people of Flint, Michigan from the harmful impacts of lead contaminated water that was pumped into their homes for cost savings. Even in the face of growing protest and concern from the community, this unsafe practice continued for months before anyone in the government acknowledged the problem and took steps to improve conditions. Unfortunately it is the children of Flint who will suffer the most and the longest from their unnecessary exposure to unhealthy levels of lead in their homes. In the wake of this public health crisis, we would hope that government officials around the country would take their responsibility to protect public health and to listen to the concerns of their communities seriously, but unfortunately our Surfrider Chapters in Hawai’i continue to meet resistance from the Hawai’i Department of Health as they implore the State to post warning signs near chronically polluted streams to protect the public from getting sick at the beach. On the island of Kaua’i, Surfrider’s Blue Water Task Force (BWTF) program tests over 25 surf breaks, estuaries and freshwater streams in order to provide water quality information to the public at popular recreational sites where the Department of Health (DOH) is not testing. 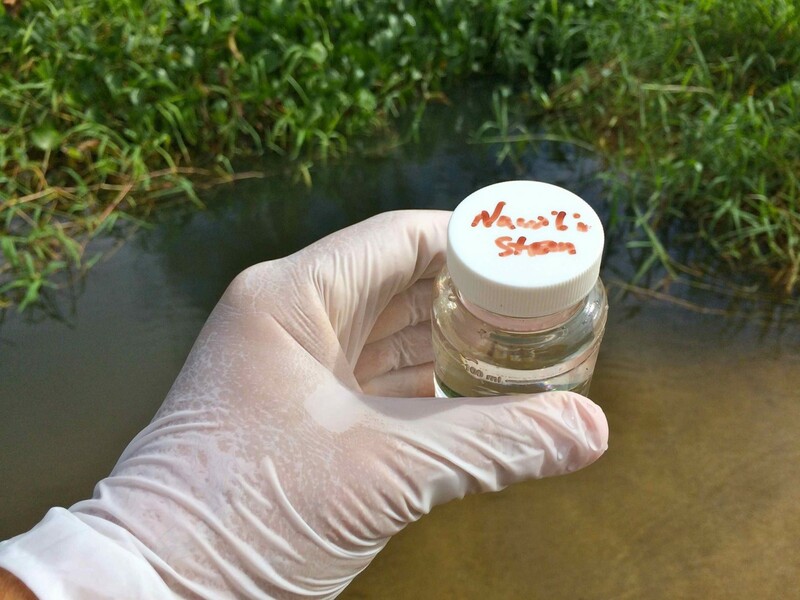 For the past seven years, the Kaua’i chapter has been documenting several cases of severe and chronic contamination in a number of island streams through their volunteer-led water testing program. In 2015, seven streams -- ones that families and children commonly choose to splash around in -- failed to meet public health standards over 90% of the time they were tested. Four of those streams failed health standards every single time they were tested. The most egregious site is the Waiopili Stream that exceeded health standards 100% of the time, with average bacteria levels 77 times greater than the Hawai’i state water quality standard which was set to protect public health in recreational waters. The state standard is 130 colonies of enterococcus bacteria per 100 ml of water. The average bacteria count measured by the Kaua’i BWTF during 2015 was over 10,000 colonies of enterococcus, up from an average count of 9,000 measured in 2014. The statistics are more than alarming -- they are truly dangerous. Unfortunately the families and children who love to play in these polluted streams as they flow across the beach don’t know to stay away. Why? Because the State refuses to post warning signs or investigate the problem -- despite pleas from Surfrider and the convincing scientific evidence that demonstrates a real public health concern. See where Surfrider is testing on Kaua'i and view the data yourself at kauai.surfrider.org. In addition to ignoring the results of Surfrider’s credible citizen science program on Kaua’i, the DOH is also ignoring the results from its own monitoring program and only sporadically posts warning signs to close beaches or issue swim advisories. The Hawai’i DOH receives an annual grant from the Environmental Protection Agency to implement their beach water quality monitoring and public notification program. This funding source authorized by the BEACH Act of 2000, requires states or local implementing agencies to notify the public when bacteria levels exceed or are expected to exceed state determined, and federally recommended, water quality criteria. 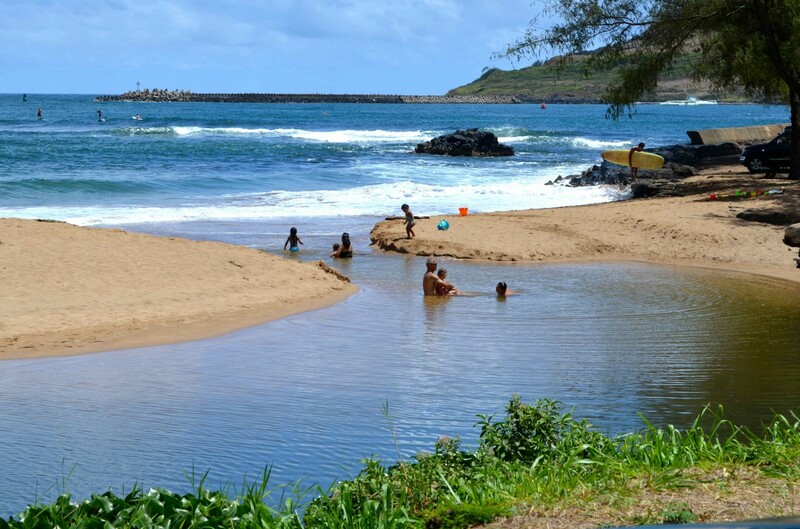 The Hawai’i DOH only posts warning signs of high bacteria levels at the beach when there is a known human source of the contamination, such as a sewage spill or culpable cess pool. Otherwise, they do nothing. Even at Waiopili Stream, the DOH has taken its own samples and performed a sanitary survey to try to identify the sources of pollution, but it has been nearly two years since their investigation and they have not released their findings and public health remains unprotected. The mission of the Department of Health is to protect and improve the health and environment for all people in Hawai`i, and in many instances they have taken this responsibility seriously. On Friday March 11, 2016, Governor David Ige signed into law new wastewater system rules that were proposed by the Health Department to start fixing one of the biggest sources of water quality pollution in Hawai’i - to ban cesspools! “Hawaii has about 88,000 cesspools, far more than any other state,” a release from the Governor’s office stated. Cesspools provide no treatment, and inject about 55 million gallons of raw sewage into Hawaii’s groundwater every day, potentially spreading diseases and harming the quality of drinking water supplies and recreational waters,” Gov. Ige said at the signing announcement. The new HAR changes would also put into place the new $10,000 tax credits that Surfrider's Hawaii Chapters helped pass last year for homeowners to upgrade their cesspools to better septic systems in certain areas near water sources. Surfrider applauds the approval of these new rules that will prevent any new cesspools from being installed across the state, and will provide incentives for homeowners to upgrade their systems to reduce the impact on local waters. It’s time for the Department of Health to do the right thing now and post warning signs at chronically polluted streams and whenever bacteria levels exceed health standards at the beach, so tourists and locals alike can be protected from contracting a whole host of water-borne illnesses such as eye, ear and sinus infections, gastro-intestinal illnesses, rashes and serious skin infections.